High up on the northern edge of the United States you will find a land of pristine wilderness, a rugged coastline and ancient mountains made of iron. Skiing States: Minnesota is a short film highlighting the Midwestern state which some say has been blessed with the most beautiful landscapes, it also features some of the local winter athletes that give this place unique character. This short film is part of the state highpoints project to ski on the highest mountains and hills in the snowy half of America’s states. This journey involves three types of skiing: skimountaineering, backcountry skiing and cross-country skiing. Minnesota’s Eagle Mountain (2,301′) involves mostly cross-country skiing, however there is backcountry turns and steeps off of three sides. This film introduces us out-of-staters to Minnesota’s beauty and I hope it will inspire locals to make a high quality backcountry ski film on some of the mountains which have the most fun terrain you can ask for in the sub 1000′ vertical category. Sunrise and -14F, no wind, just sublime. The Lake Superior shoreline. The 2014 filming of the Eagle Mountain segment is combined with 2018 segments highlighting local skiers and snowboarders and some of the cool things they do to keep the stoke all winter long. Billy Bjork is an outstanding snowboarder from the Duluth area who has perfected the art of riding almost anything by taking advantage of a local tiny hill filled with fun features, even when it is -50 Fahrenheit. Andrew Kilness popped up on the national radar for his ice skating on mountain biking trails. He also backcountry skis, surfs and other activities along beautiful Lake Superior. At the end of the film hear from other skiers involved in the Superior Highland Backcountry group. As in other Skiing States episodes the MN episode will feature local music along with a mix of stock music to keep it varied. 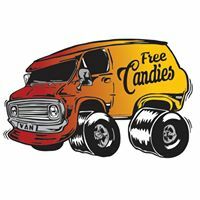 In this episode we feature bluegrass/blues from Van & The Free Candies. Minnesota musicians have been prominent in the US music scene as the area has produced large acts such as Prince (pop), Trampled by Turtles (bluegrass) and P.O.S. (hip hop). Throughout my Midwestern travels there have been some incredible, beautiful topography and features, most of which were a surprise. The North Shore has been the most beautiful part of this region I’ve seen so far. Its worth noting that the Porcupine Mountains of Michigan also were very exciting with over 300″ of snow and some steep terrain as well. 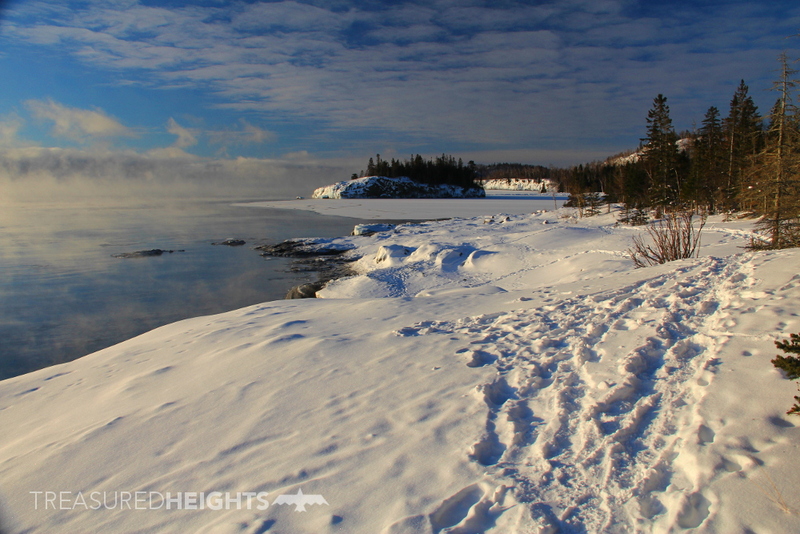 The North Shore of Minnesota features multi-hundred foot cliffs to climb along the lakeshore, ice climbing, lakeshore cross-country skiing, and more traditional north-woods forests of birch around block shaped mountains with cliffs and chutes. Is that a pillow line to the right? 🙂 with a little trimming, yes. The Midwest is the last region of the country to get attention for backcountry skiing, however it is the first place skiing took hold in the United States in the 1800s (Beloit, WI). The modern thrill-oriented ski-media scene has not put attention into the Midwest because of sub 1000′ vertical lines and lack of local steep-ski culture. There are some of us however who have just as much fun doing short pow laps and see the holistic experience of the backcountry. I can relate to the type of skiing in the Midwest here as I began skiing similar terrain in the low peaks of mid-NYS. Nordic skiing is a key part of the experience which is all about being in nature and a solid workout, Backcountry skiing is the next step, where new skiers and splitboarders can blend the holistic nordic experience with the thrill of powder and steep lines in the area. Many Midwesterners are unaware of what backcountry skiing is, however that is changing as the sport has been going through a growth spurt since 2010. Elli King and Rory Scoles have been a part of that via their activities and rental shop near Lutsen and leading Superior Highland Backcountry. 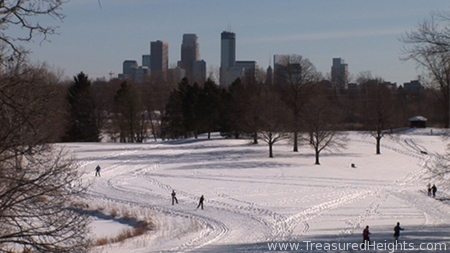 You can find good nordic skiing in downtown Minneapolis (something you will see in the film), and the state has excellent potential for steep skiing on 300-600 vert runs off of cool fault-thrusted mountains. 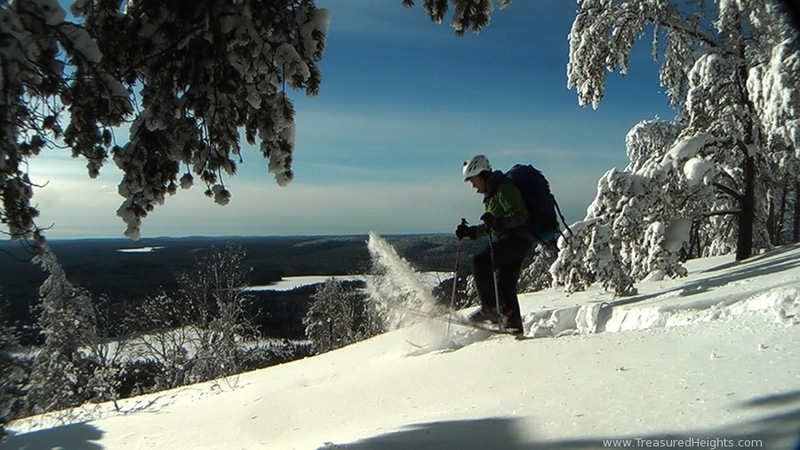 “Skiing States: Minnesota” is the first mid-level production on backcountry skiing in Minnesota. My hope is that this film brings awareness to the work of local groups which work for access and trail making for backcountry skiing, and that people understand the beauty of the wilderness in the region. Teddy Roosevelt made the first step to protect a beautiful place with an executive action at the start of the 20th century, these lands are still in need of protection this year from active corporate attacks on the edge of the Boundary Waters wilderness. By cultivating more local skiers and splitboarders we help locals connect with their public lands year round. Lands that are cared for by their users are more likely to find defense from short-term profit-motivated industries such as real estate, oil and gas, and mining, which at times use their deep financial power to overstep their reasonable land use boundaries. 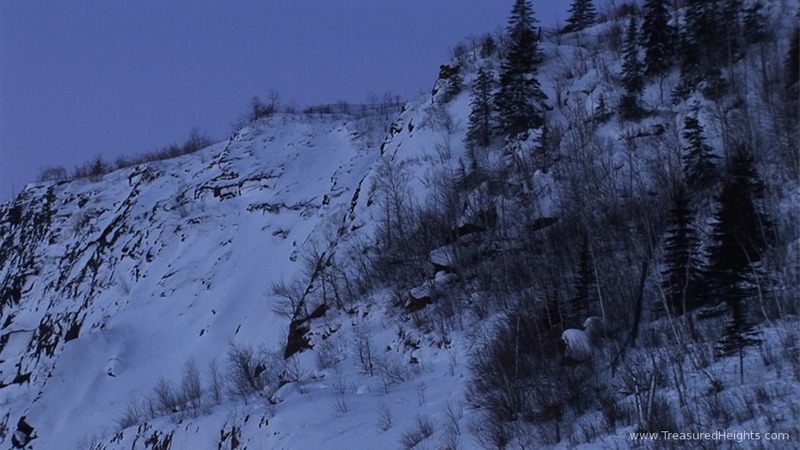 Check out Superior Highland Backcountry which is working to get huts and backcountry terrain going along the North Shore. Lots of terrain like this can be found in the north. Stay tuned for updates on the Facebook Page or Instagram.